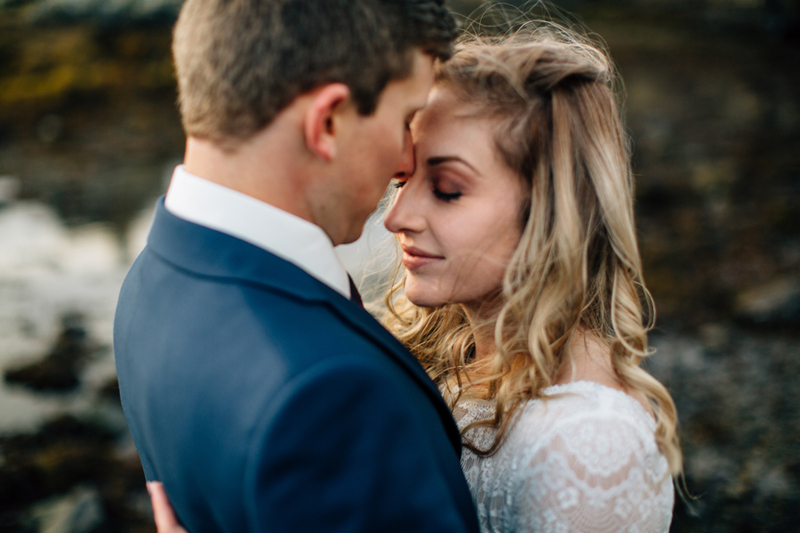 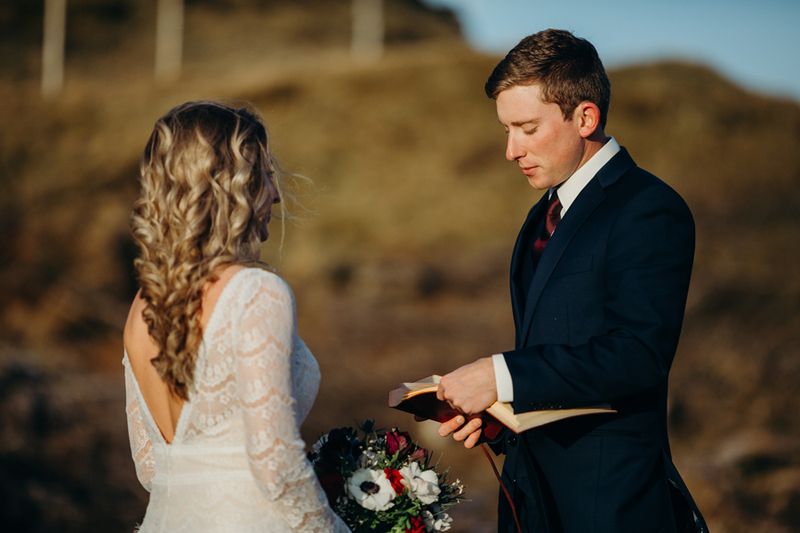 When Jessica and Adam first inquired and booked with us, their wedding was going to be in their home state of West Virginia. 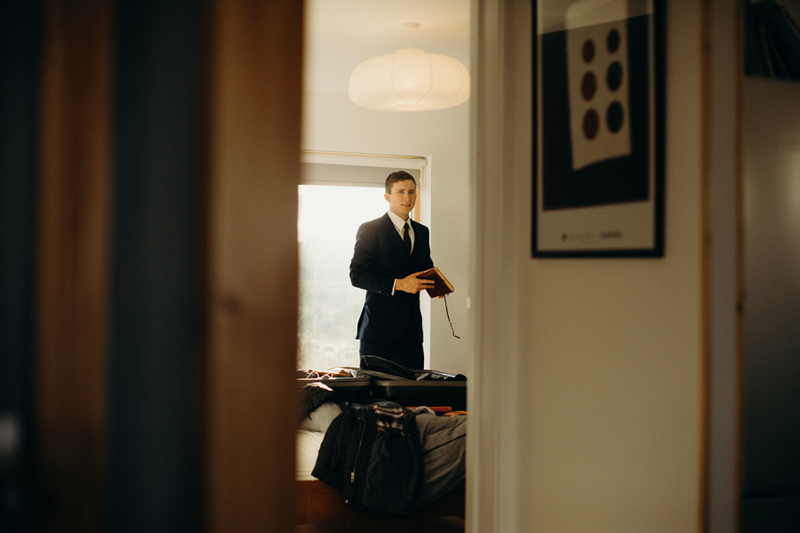 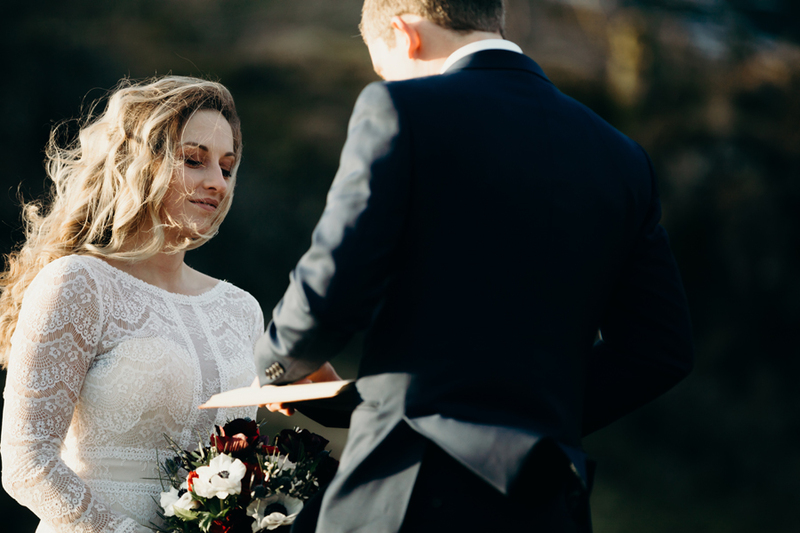 However, as anyone that has ever planned a wedding can probably relate to, wedding planning can be stressful. 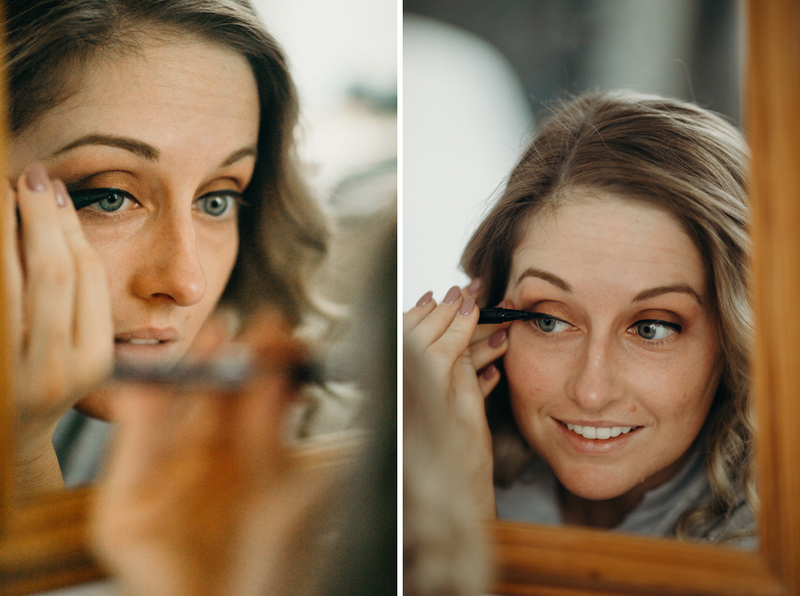 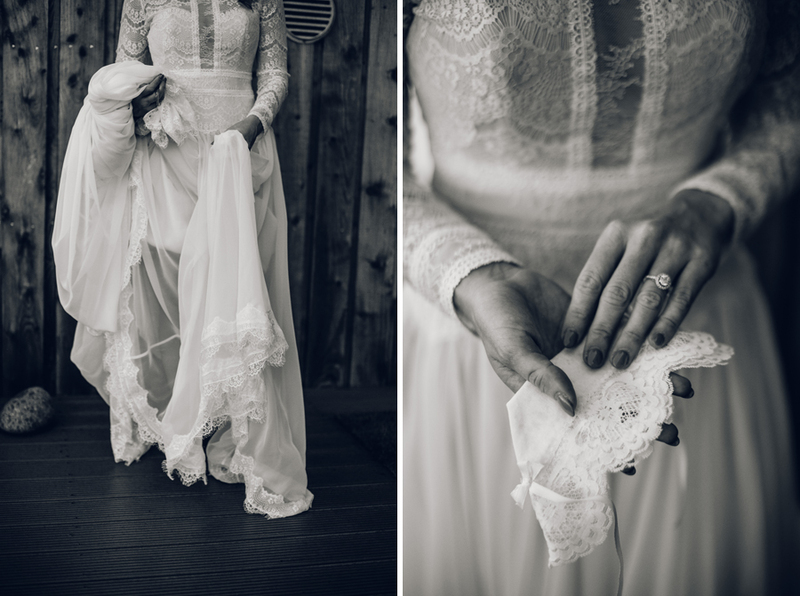 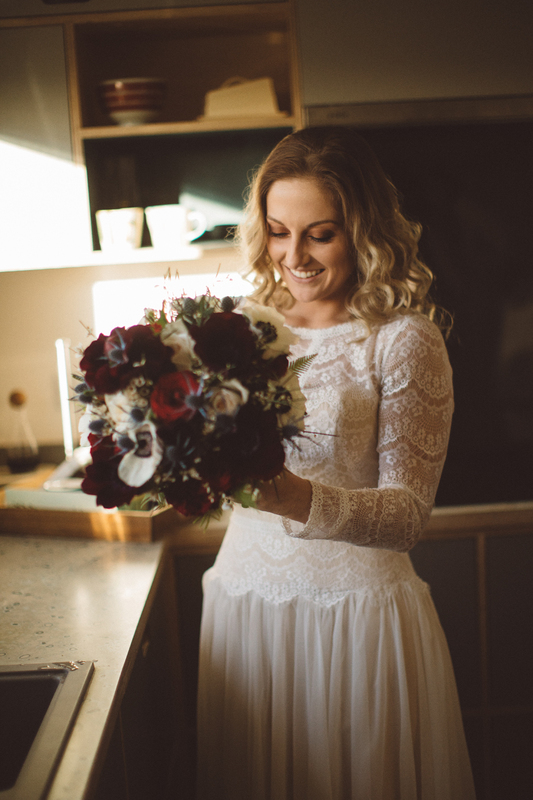 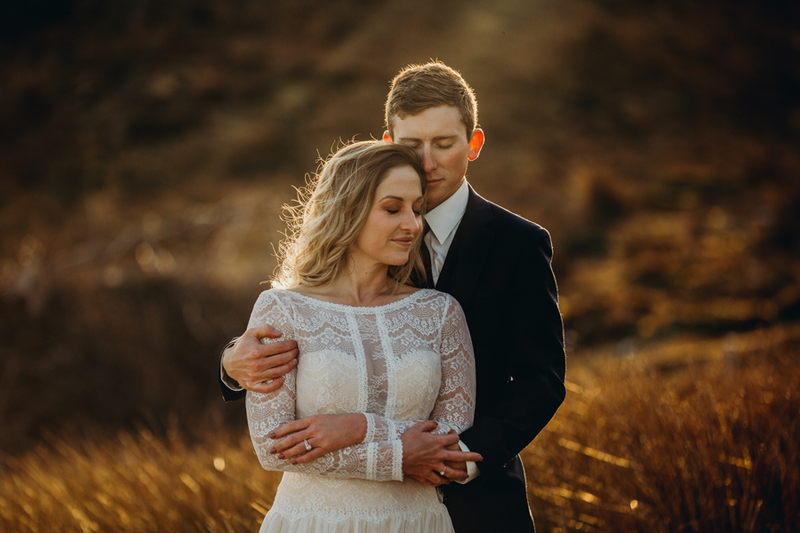 After spending a day having to pick out napkins, Jessica had enough and asked if we would still be willing to shoot their wedding, even if they eloped (the answer will always be yes to that). 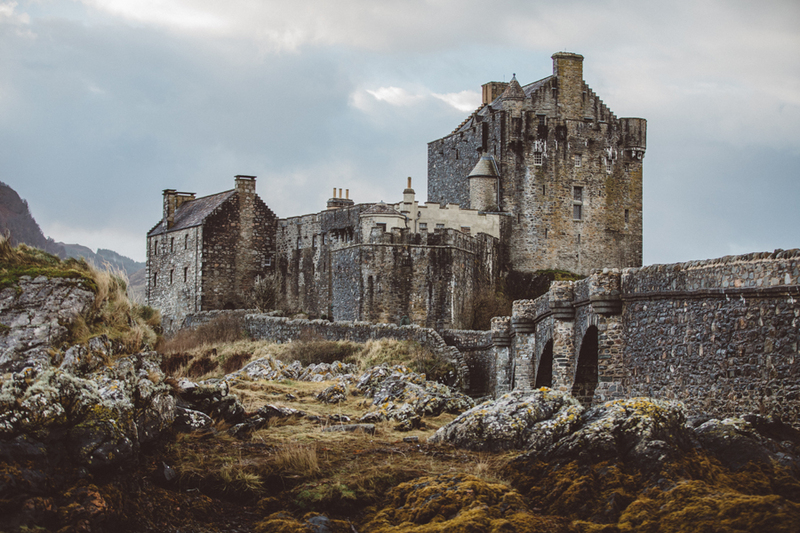 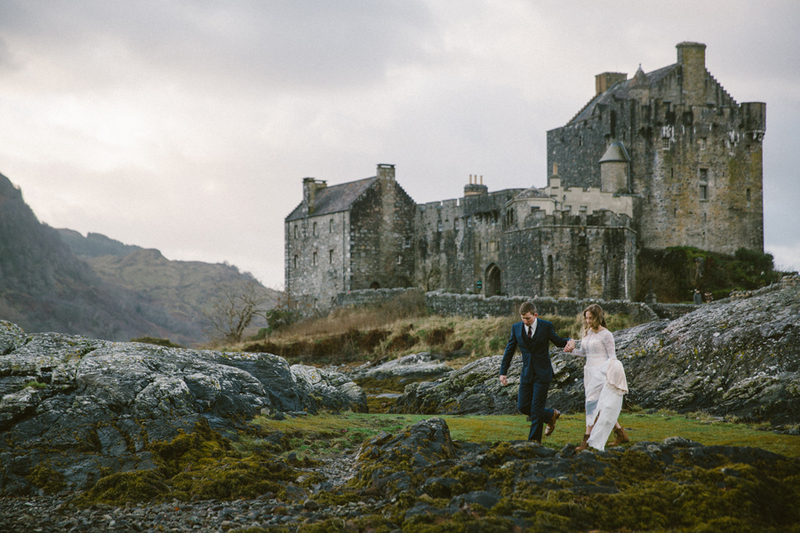 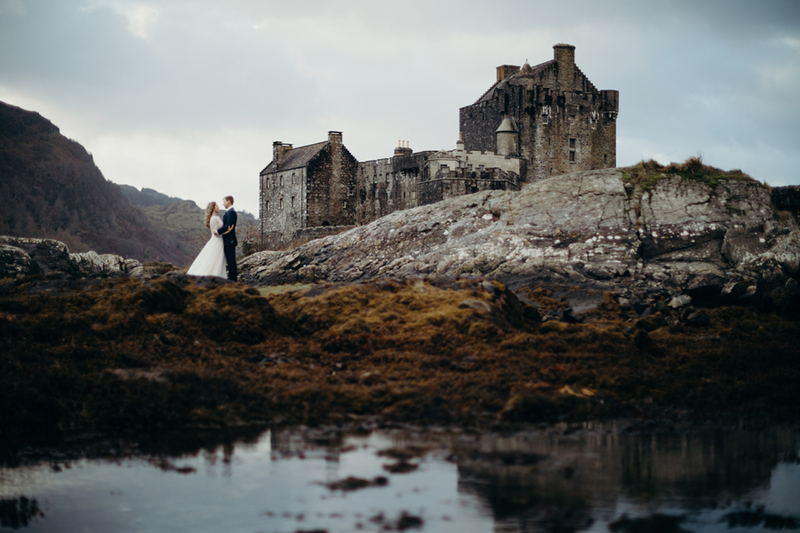 The next day, the West Virginia wedding was cancelled and a trip to Scotland was booked! 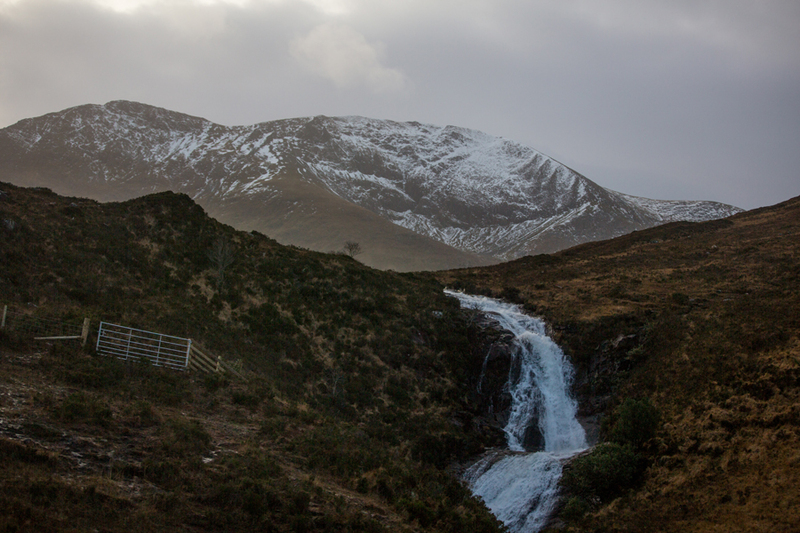 December came around and without ever actually meeting in person, we all said "hiya!" 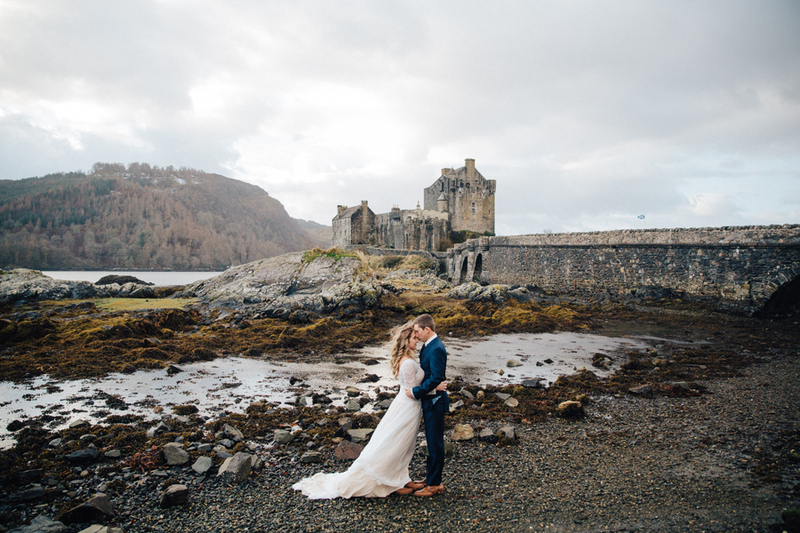 to Scotland and met in Glasgow. 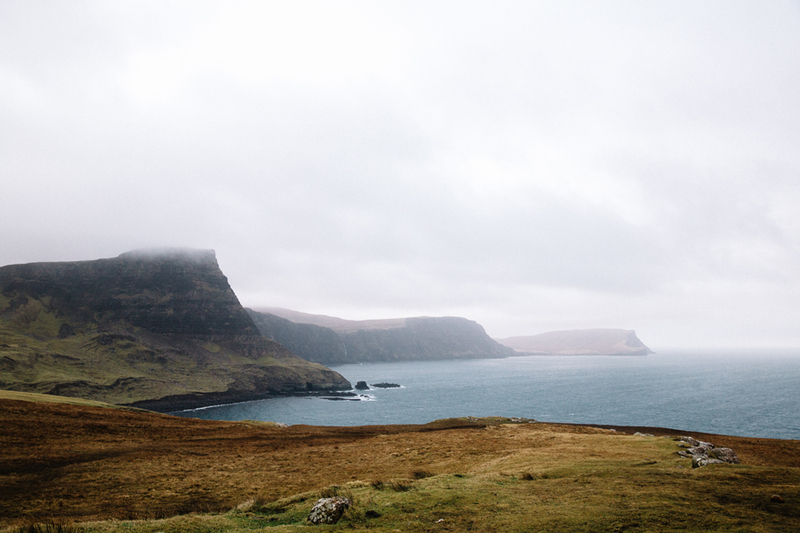 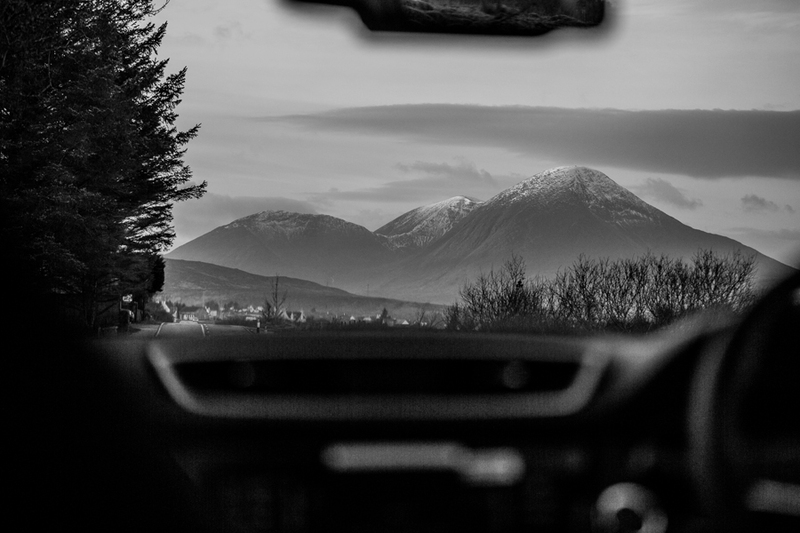 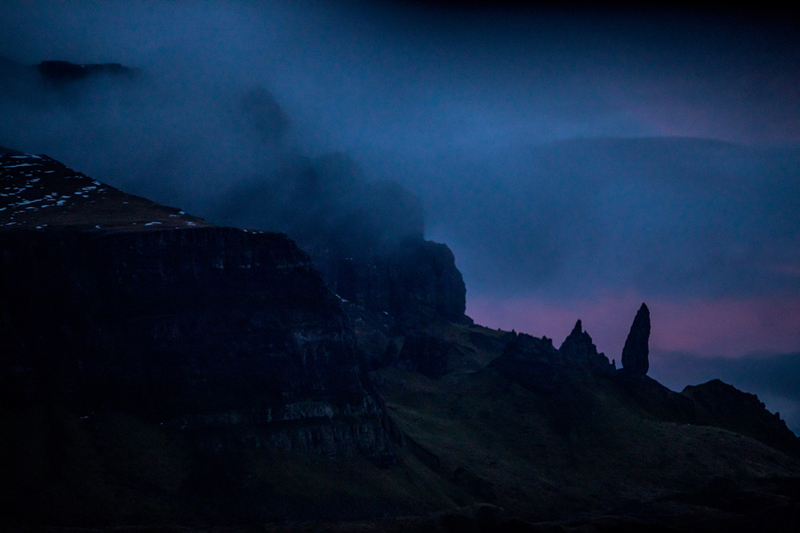 We had quite the adventure just getting from Glasgow to the Isle of Skye. 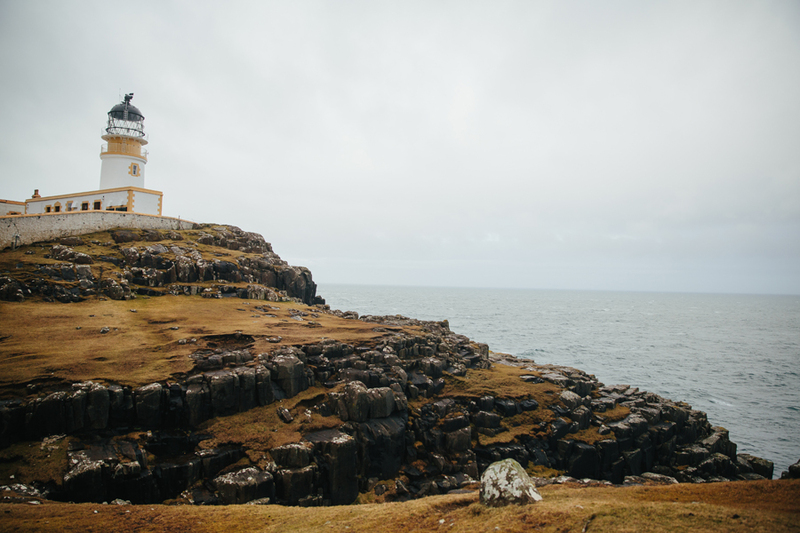 We spent the next week staying cozy in our adorable AirBnb, exploring Portree, castles, attempting to pet sheep, eating shortbread and ice cream and drinking mochas, and even a trip over to Loch Ness. 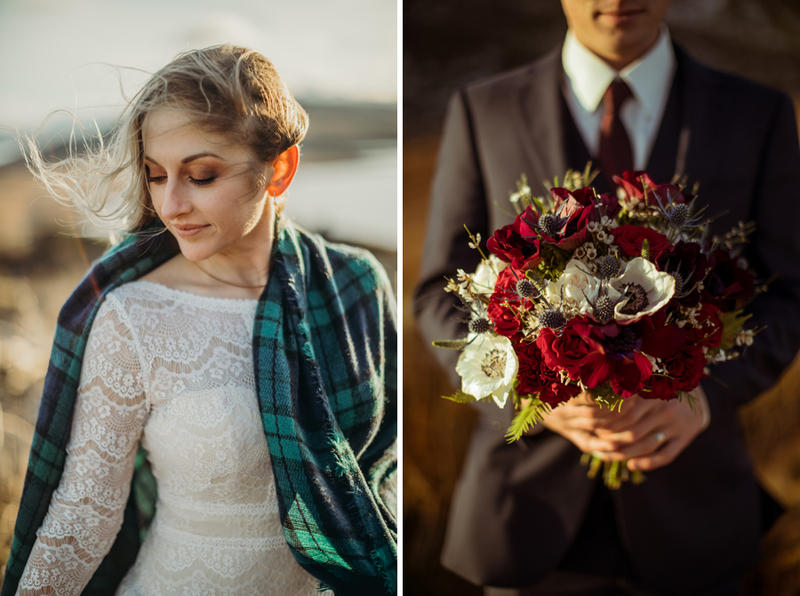 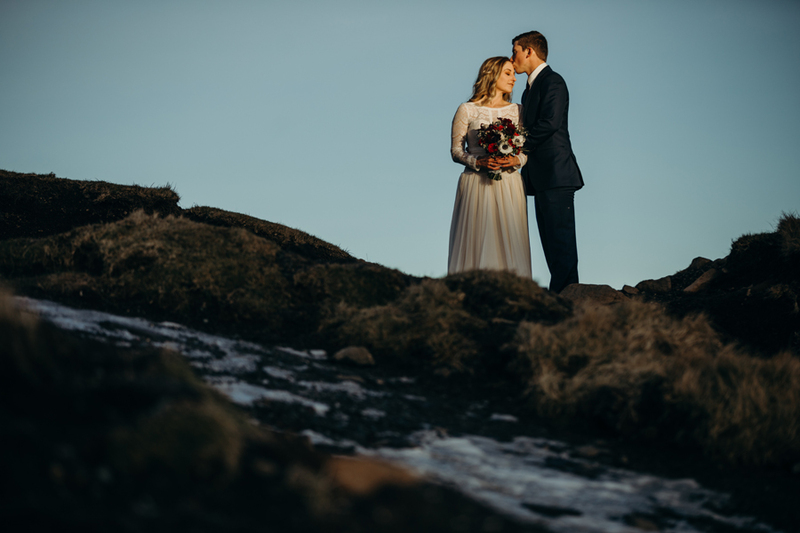 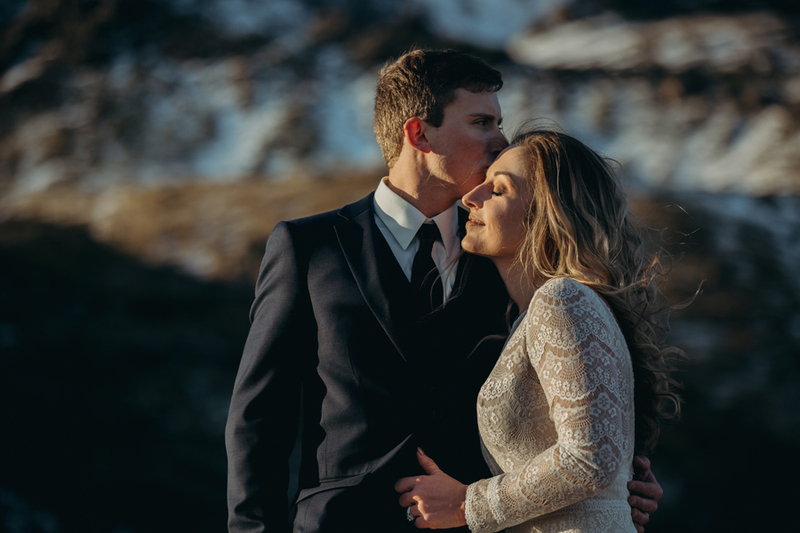 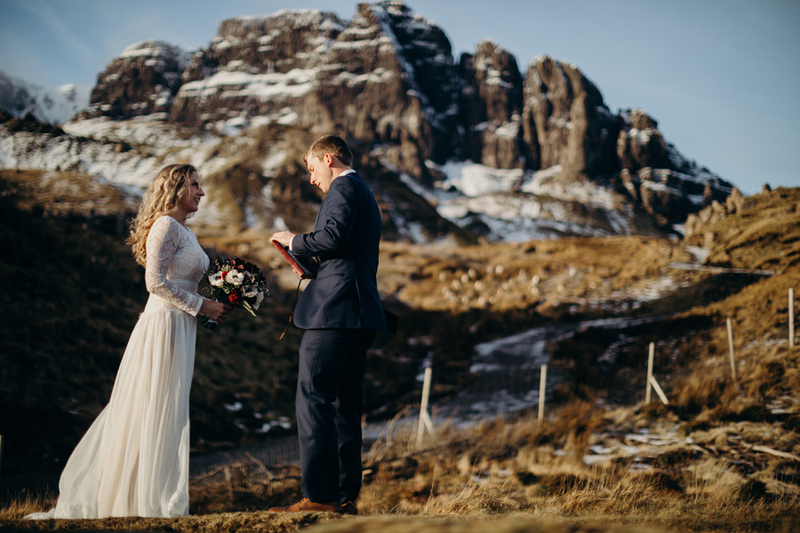 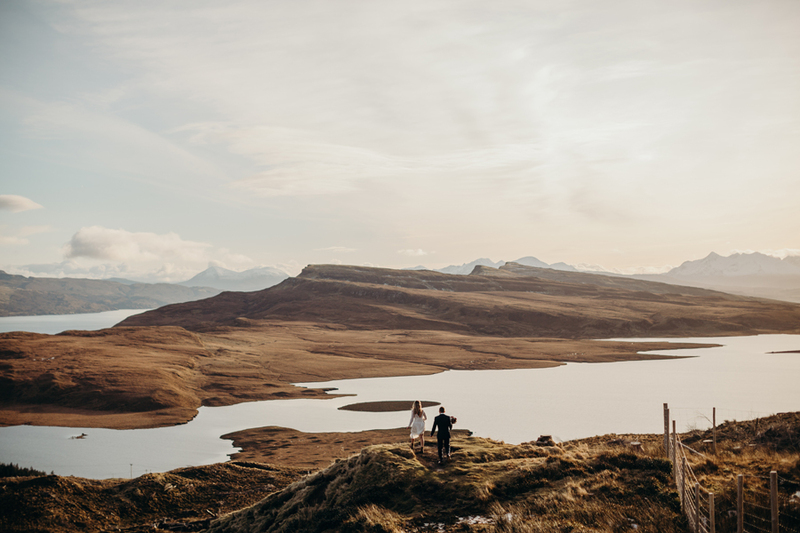 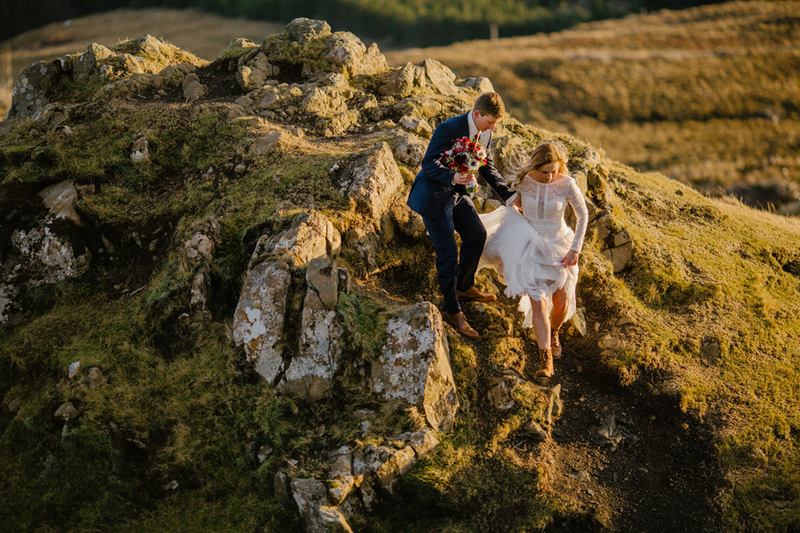 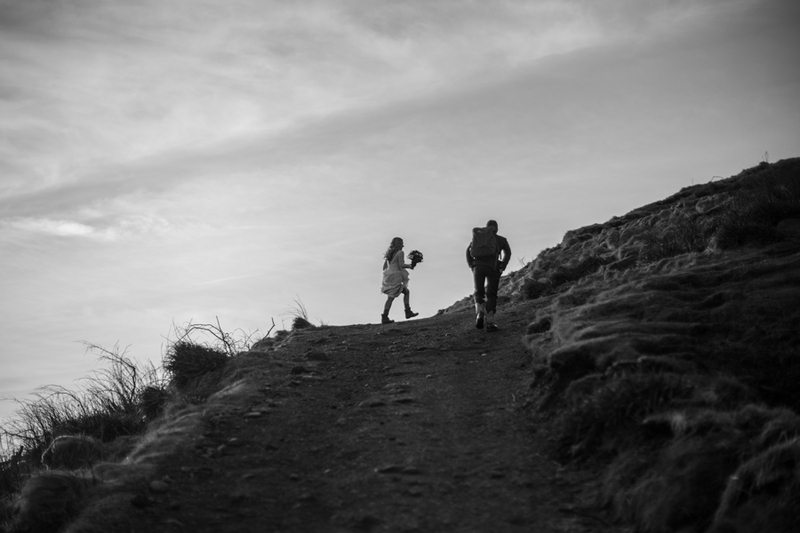 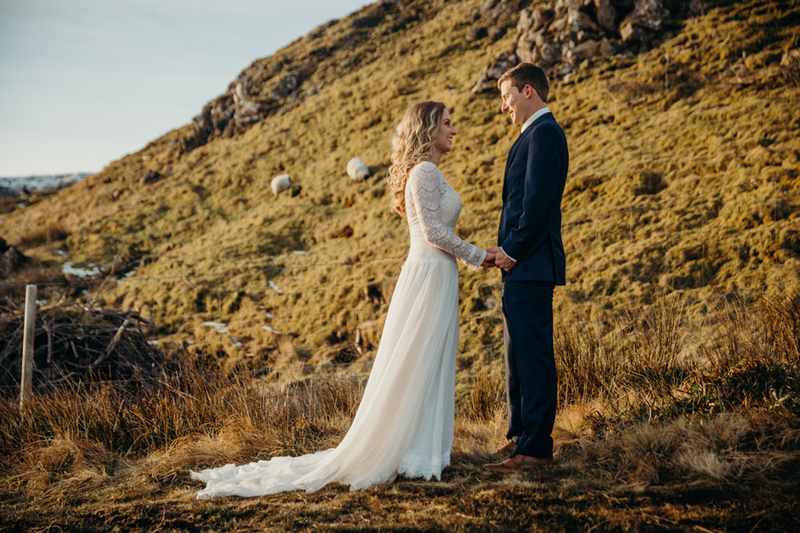 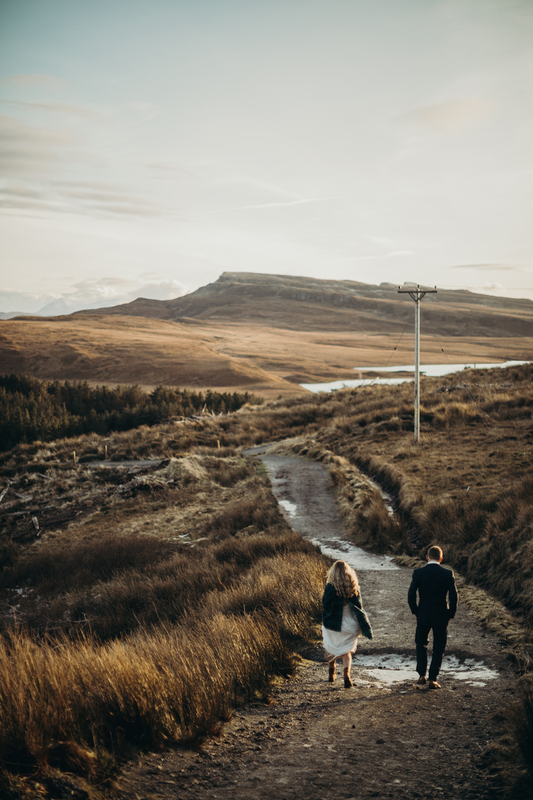 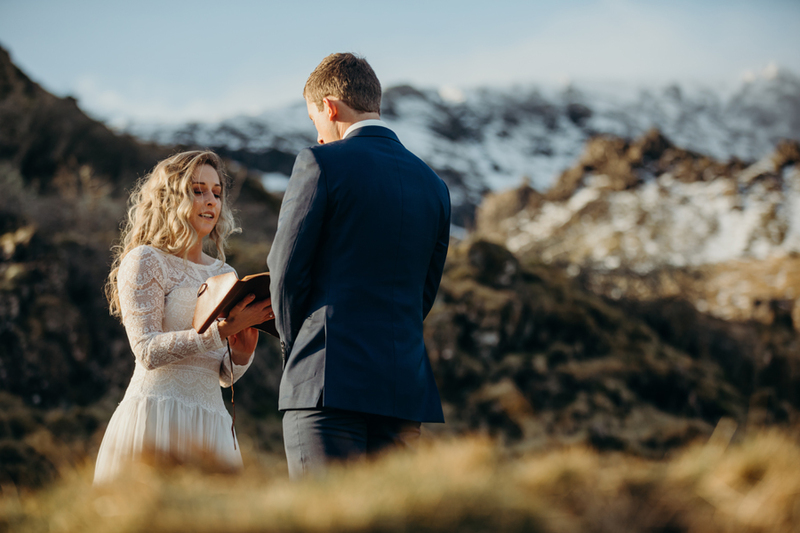 Jessica and Adam read their vows on top of a mountain next to the Old Man of Storr in the presence of numerous sheep. 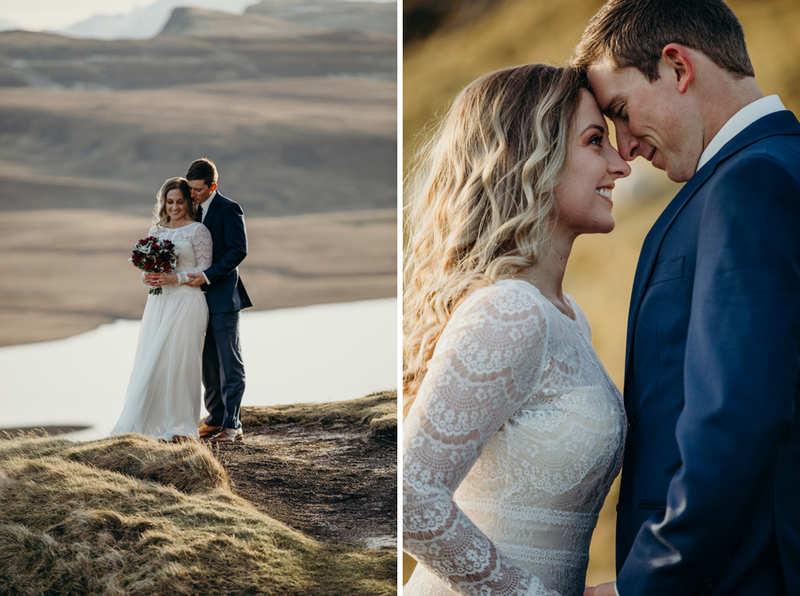 It was an incredible week and we are so thankful to have been on this adventure with Jessica and Adam.